Prowling Panther casino slot game is a different looking one: it looks like a upturned pyramid. IGT online slots decided to use a different reel placement; there are three slots on reel 1, four slots on reel 2 and five slots on reel 5. Because of this unique design, there are five reels and 720 pay lines in the game – a huge number which increases your winning odds by a significant amount. The graphics quality is also good, this is a game about wildlife (panthers, to be exact) and the hand-drawn art style really puts you in the middle of the jungle. Wild animals are also used as the game’s high-valued symbols. The most valued one is the black panther symbol of course, it has a payout value of 500 coins. Numbers are letters are also used as for the low-valued symbols. A sign of “X2” is used for the wild symbol. 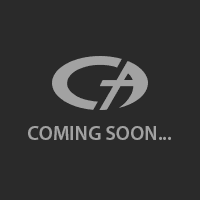 Wild symbol substitutes all others and can appear only on reels 2, 3 and 4. It also doubles your winnings if it used in the completion of a winning line. Lastly, the wild symbol has a “stacking” feature; it can fill an entire reel by landing on top of another. Scatter symbol is shown with the picture of a golden colored panther. The good news is, even only one of them is enough to trigger the free spin mode. One scatter is equal to 5 free spins; and if they keep landing on reels, each scatter awards you with 5 more spins. (The maximum free games you can get is 256.) The special symbol amount may be low, but each of them offers more than one feature. 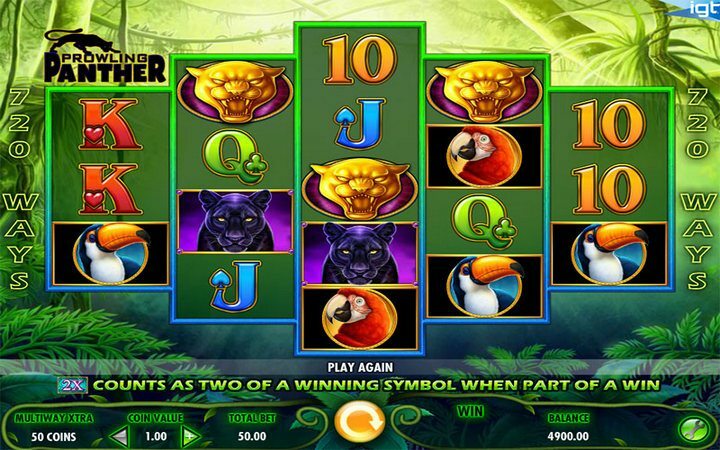 Prowling Panther online slot game by IGT has a coin value of 1.00 to 50.00 coins for each spin. The game supports automatic spins, you can set the number of spins by pressing the “Auto Spins” button. Your maximum bet amount is 2.500 coins but beware if you are trying the free slots no download version: you are limited to only 3.000 coins. For more practice rounds, play at Casino Avenue – all of our games offer hours of gameplay and excitement for free.